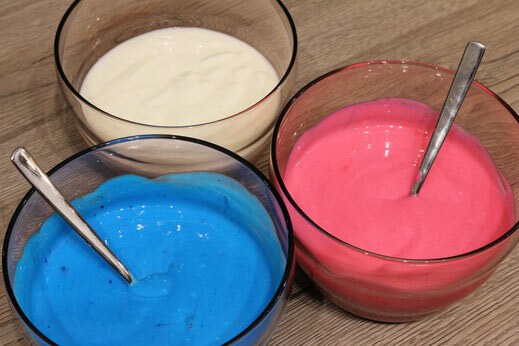 Today we are going to bake a colorful cake, but the best thing about it is, it's super easy to do. It might not be the most traditional cheesecake but give it a try and you will amaze your family or friends. 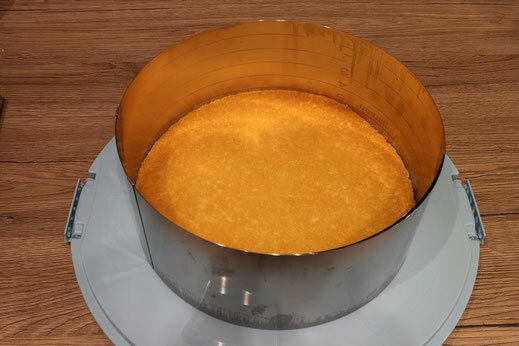 As cake base, different kinds can be used. 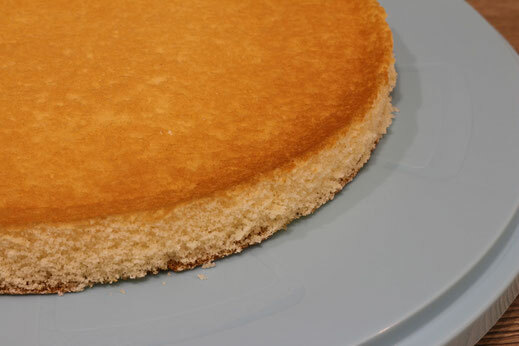 I decided for vanilla sponge cake, but you can use different recipes you have. The important thing is, you need to bake it with a cake ring or cut it to the size of a cake ring you have available. I used an adjustable one which makes it a lot easier, because you can adjust it later again to have it very tight around the sponge. This is necessary because otherwise the cheesecake filling will leak. Mix the yoghurt, cream cheese, some lemon juice and sugar together, divide it into 3 equal portions and fold in the whipped cream. Now it's time to choose your food colors. I decided to leave one portion white to have a better contrast on the cake. Stir in the food color carefully and prepare the gelatin according to the instructions. 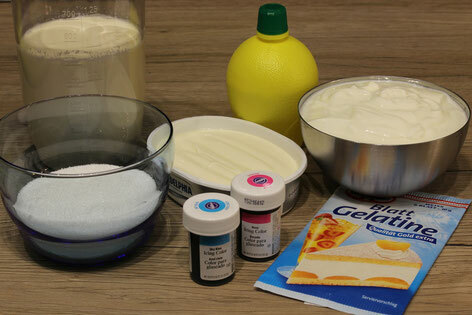 The last step before bringing everything onto the cake is to mix in the gelatin. 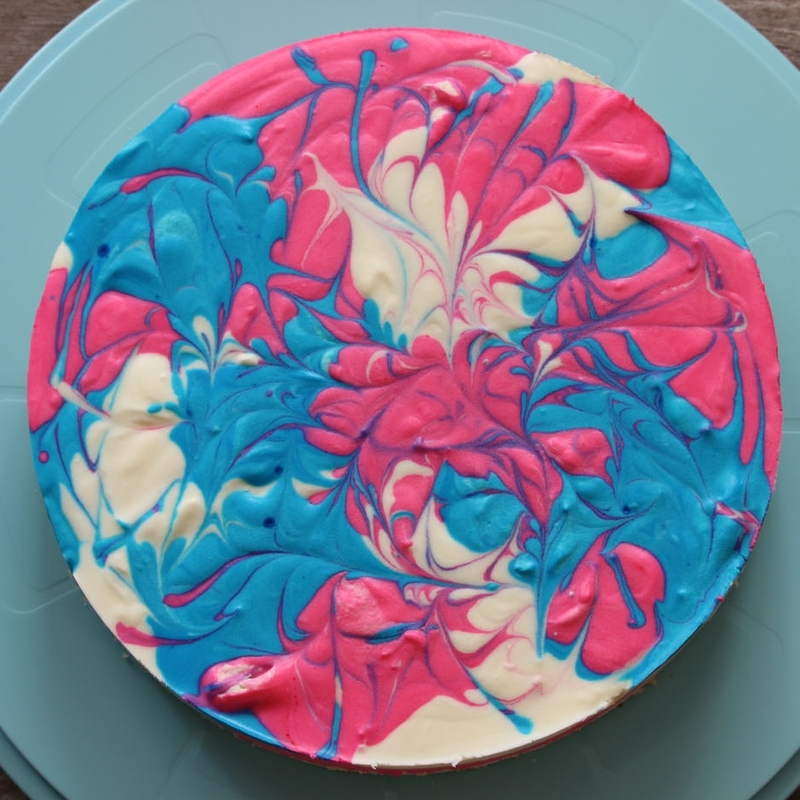 This has to be done quickly to be able to create the marble style before the gelatin thickens. After creating the color, you would like to have, everything is ready to finish the cake. 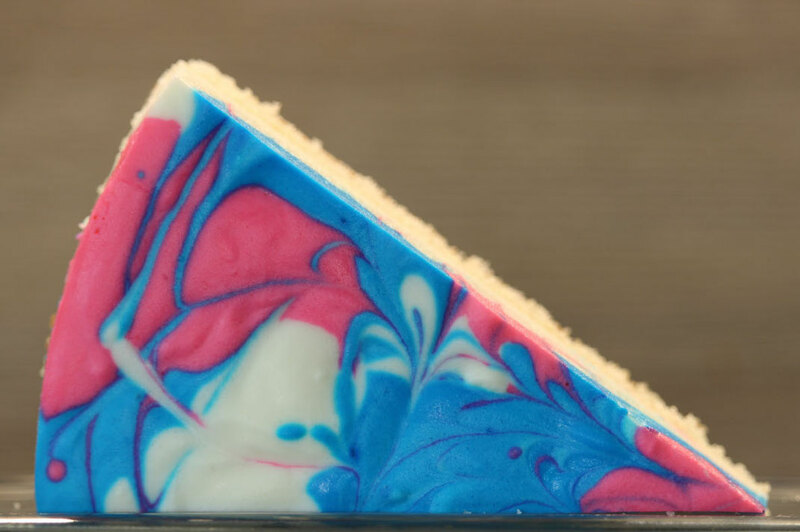 Pour the different colors alternating onto the sponge cake and use a skewer or tooth pick to swirl the marble style into the cake.